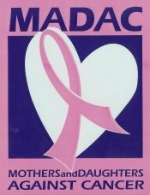 Gifts to MADAC will need to be directed to the Community Foundation for Northeast Georgia and designated to the “Mothers And Daughters Against Cancer Fund“. Distributions from the MADAC Fund will be made annually to help support local causes and projects that align with MADAC‘s mission. Proposals and request for funds should be directed to the Community Foundation for Northeast Georgia. Pictured below is the redesigned and dedicated MADAC Conference Room in the Gwinnett County American Cancer Society offices. 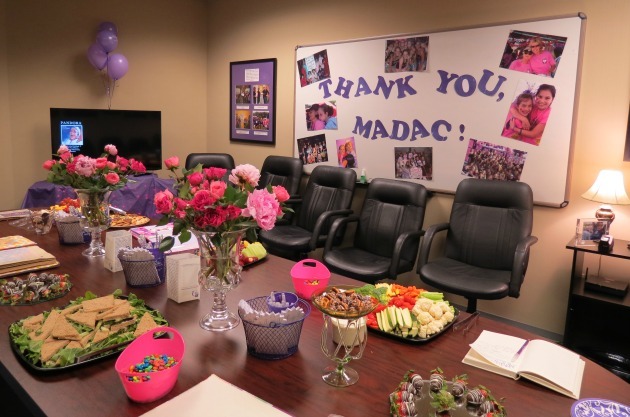 Complete with a new conference table, large scale white board and high definition smart TV, the MADAC Conference Room bears the name of the organization that grew along with the Gwinnett Relay For Life. “We are so grateful to MADAC for mothers demonstrating to their daughters the importance of giving back to their communities and to be active in the fight against cancer. Now those daughters are young adults modeling that concept to future generations," praised Cathy Longino, former Senior Manager for the ACS Gwinnett County.